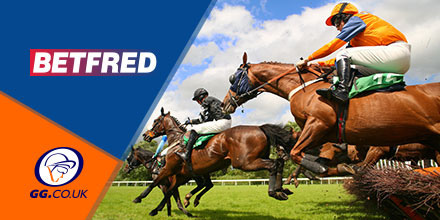 Betfred are one of the top names in bookmaking and offer great enhancements for new and ongoing customers, including NRNB on the Grand National. Check out today’s Money Back Special at NEWBURY, plus a whopping SEVEN extra place races. BetFred are offering money back on all races at NEWBURY this afternoon, if your selection finishes second to the SP Favourite. Simply back any horse in the race and get your money back as a free bet, to a maximum of £10. T&C’s apply if they are beaten by starting price favourite.. Win Singles only, horse must finish second to qualify, money back as a free bets, 18+, T&C’s apply. Betfred are offering a total of SEVEN extra place races today. Check out the races available under this offer below, with all races paying the extra place at one fifth odds. Get These Extra Places: Here! Betfred also offer bonus winnings on Lucky 15, 31 and 63 bets. If you manage to hit all of your selections, Betfred will pay a win bonus of 10% on lucky 15’s, rising to 25% on Lucky 63 bets! Also if you fail to hit more than a single winner on your Lucky 15, 31, or 63 bet, Betfred will multiply the winning selections odds, starting at 3x on Lucky 15 to 5x on Lucky 63 bets! This article is sponsored by our good friends at Betfred**.